With 9 days to go until my first ever marathon I can’t help but think about goals and how awesome it feels to accomplish them. 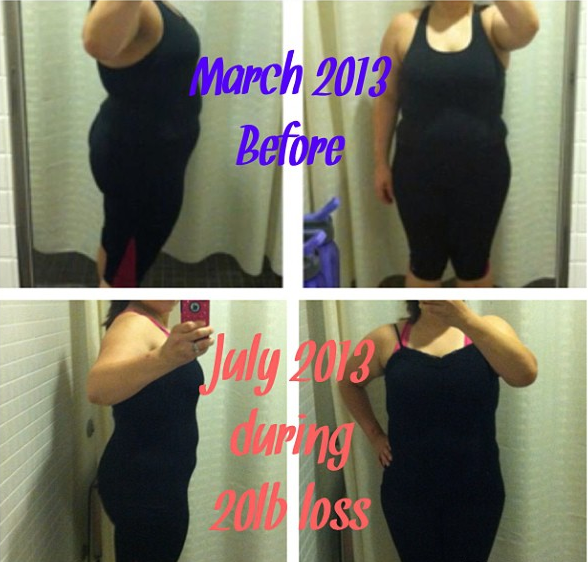 Last year I set a HUGE goal to run a marathon and began training in July of 2013. This will be my first accomplished Fit Goal of 2014! It’s not my only goal though, I have many more and honestly believe that with hard work and dedication I will accomplish each and every one of them. There you have it! I’m so ready to bust through these goals! What are your fit goals for 2014? Are you setting big goals or small goals? ***Disclaimer: Please follow this challenge at your own risk–if you are unsure of how to use proper form follow the apps instructions/demos for the workout. 2. If you do not yet own a Beachbody Program, please use the above link to go through to my shop and purchase a program for the challenge. For the best deal you should consider purchasing the challenge pack associated with the program of interest (you will get a month supply Shakeology with your program along with other bonuses). 3. 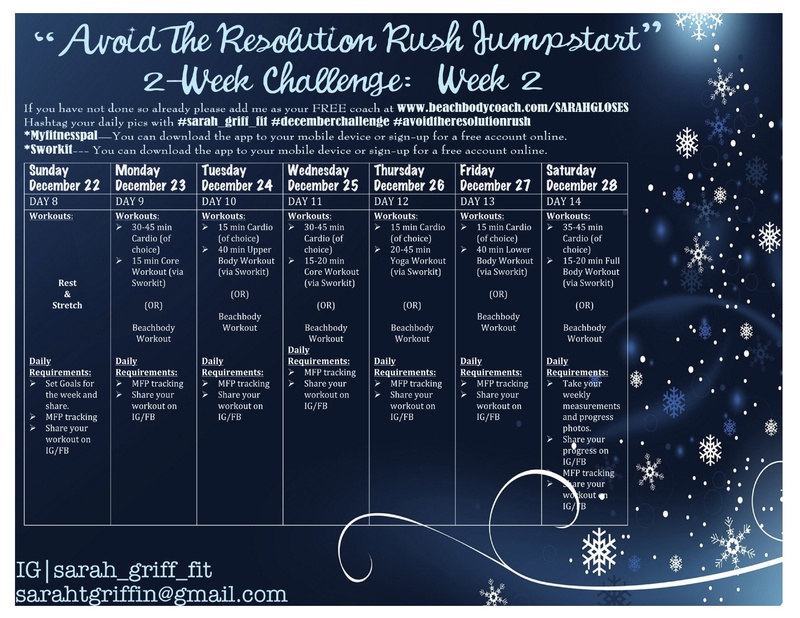 You must be committed to following the scheduled Beachbody workouts throughout the course of the challenge (there will be a reminder calendar posted). You must also be committed to following the nutrition plan associated with your program (or another comparable nutrition plan). It will help to track your foods using MyFitnessPal and it is recommended that you sign-up for a free account and add me, SarahGLoses as your friend. 4. 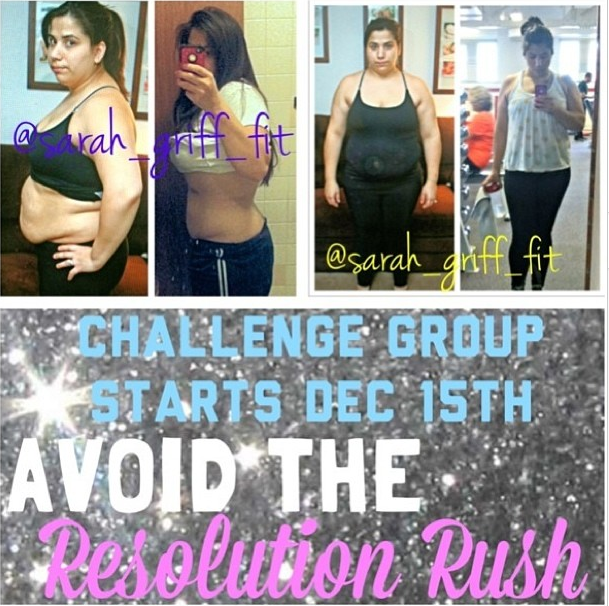 Follow Sarah Griff-Fit on Facebook and join the Facebook Challenge Group (Avoid The Resolution Rush-December Challenge). 5. Please take a moment to fill out the linked form (this will help me assess your goals and current level of fitness to pick a program that works for you). 6. Before/During/After Photos and Stats: You will be required to share your progress photos throughout the course of the challenge. If you are hesitant of sharing this through IG or FB that is ok—you can email them to me directly. **Note: sharing through these outlets is a way to keep you accountable and keep you motivated. If you would like anonymity, but want to share we can block out your face and I can share on your behalf. 7. Group participation: You should participate in the FB group by sharing details of your daily workouts and weekly progress. You can also share recipes, meals, and your struggles and wins. 8. Weekly Challenge Assignments: Each week I will post an assignment for you to complete. It could be anything from drinking more water to finding a workout buddy within the group. Be sure to check pinned posts for details. 1. What if I can’t afford the challenge pack for the program I am interested in? a. There are many other affordable Beachbody programs available (as low as $40) and you will be allowed to join this challenge with the purchase of ANY program (so long as you fully commit to following it each day). 2. Do I need to use a Beachbody Program to commit to the challenge? a. For this challenge you will need to follow one of the Beachbody programs (i.e. Turbofire, P90X, P90X2, P90X3, Insanity T25, etc). —-OR—- If you chose not to follow one of these fitness programs you can still participate if you sign-up for a monthly supply of Shakeology HD while performing your own fitness routine. 3. What will my workout program be if I chose not to do a Beachbody program. a. This is fully up to you!! You just need to commit to putting in a 30-60 minute workout every day where a workout is required (and drink your Shakeology). If you need help figuring out a routine let me know and we can think of something. 4. What Beachbody Program is right for me? a. If you have questions regarding which program to choose please contact me directly and we will work on finding something that is suitable to your goals and current fitness level. 5. Is there a way I can save on the Beachbody Programs? Shakeology? a. YES! When you purchase a challenge pack you can sign-up as a coach and have your coaching fee waived. Coaches receive a 25% discount on future purchases of the all programs and Shakeology HD orders. 1. All participants (that purchase a new Beachbody program and complete the challenge) will receive a free “This Beauty Trains Like A Beast” workout tank. 2. The top 3 participants (based on over results and level of participation) will receive gifts that are TBD. Again, thank you so much for your interest in making a change in yourself for life. I look forward to having you in our challenge group and have faith that with my help you can achieve your weight loss goals. I’m not a runner. I hate running. That used to be my stance on the sport. I detested running and pulled out every excuse to find ways around it when it was required for team sports. I blamed bad knees (which I genuinely had) and exercise induced asthma. When team runs were required, I was always the one huffing and puffing at the back of the pack and trying my best to keep up. I could run one mile at a 9 minute pace, but after that I didn’t want to have anything to do with running. I was ready to quit. I was constantly suffering from patellar tendonitis and IT band syndrome. Rather than run, I’d get my cardio in by erging or biking, but it wasn’t really enough to improve my athleticism. I always figured running just wasn’t for me. I had thick, heavy thighs and weak knees. I would gasp and cough after every run. What I didn’t realize was that I was never going at MY own pace and that was the number one reason I was suffering. Running is a sport that you can’t rush until you and your body are ready. Inevitably, you will be out of breath, panting, cramping and in pain if you try to go at a pace that is not your own. I learned this when I began training for my first 5k in December of 2010. 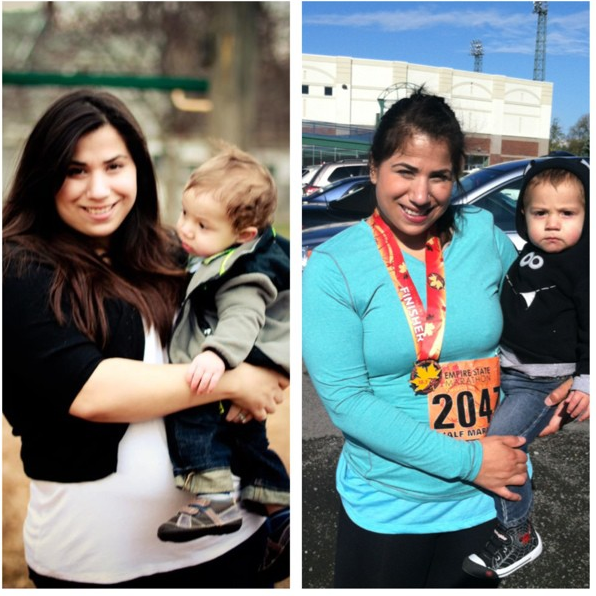 I had signed up for the 5K because I needed another push to get me through my wedding weight loss goals. I had noticed a few friends signing up for the short races and thought it might be something I could do. I had been working out steadily for some time, but per usual was avoiding the treadmill like the plague. 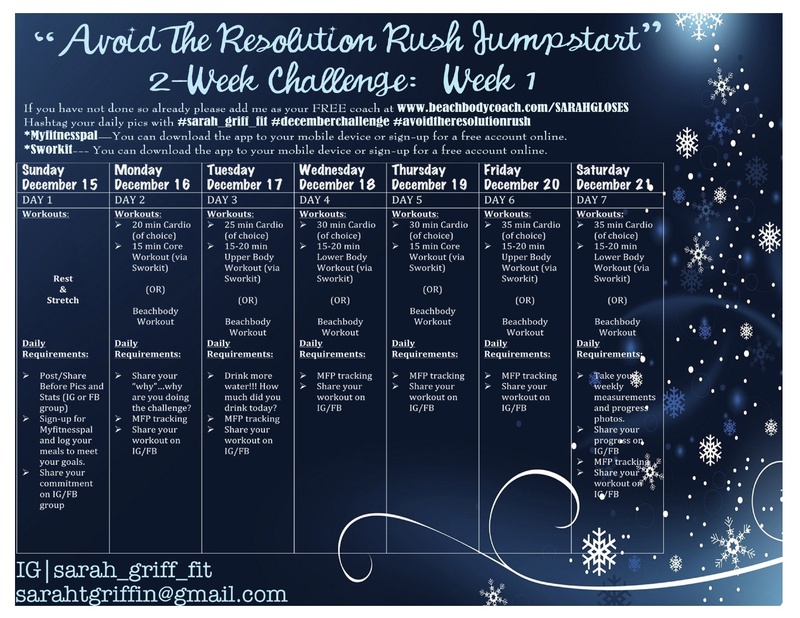 In my efforts I came across the Couch to 5K program and began my own modified version of it. Since I was already in fairly decent aerobic shape (through biking and erg work), I decided to push myself a little bit harder and go a little longer on the days that I felt I could. I still remember the feeling of being able to go for 5 minutes, then 10, then 20, and so on. It wasn’t until the week before the 5K that I was able to finish the full distance without a walk break, but I did it. I was so confident and proud of myself. I had never run anything further than the distance before and it was a huge accomplishment. I finished my first race at around 34 minutes and made it the entire way through without stopping. It was at that point that I realized I was capable of more than I gave myself credit for. I had hoped to continue the trend and planned to keep at it, but I didn’t. It wasn’t until this past year that I decided to hop back into it. 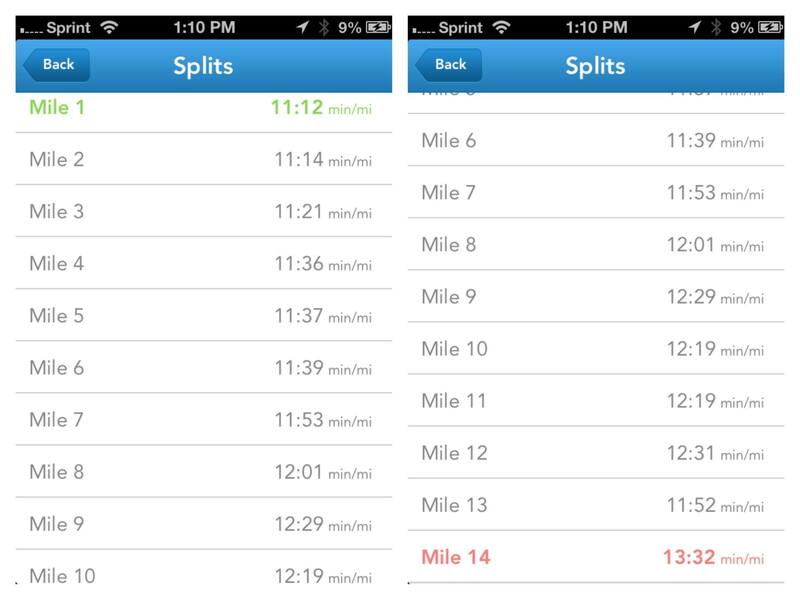 I started off with intervals of sprinting/walking, but I made the mistake of doing too much too soon. I was already doing P90X and the plyo-X workout is tough on your body in itself and when you add running with 30 lbs of extra weight to it you set yourself up for injury. I developed anterior shin splints and they were the worse. I had never in my life experienced this type of injury. I knew part of it was because I was wearing the wrong sneakers for my overweight frame so I made the decision to invest in a new pair with added support. I also knew that over training was to blame so I slowed things down and took it easy. The pain soon subsided and my mileage increased. With every run I felt stronger and more confident in my abilities as a runner. In June the experience drove me to sign up for my first marathon and I began training for it in July. The first training runs were tough, but with every passing week I learned that most of my limitations were mental and that if I didn’t go too crazy I could go further distances without getting hurt. Running has become a routine that I now crave. On my rest days I miss it and wish I didn’t need the break. Training for this marathon has taught me so much about what I am capable of. The biggest surprise is that I’ve learned that I am capable of so much more than I can imagine. Never would I have thought I could complete a 10k, or a half marathon, or a 20 mile run, but I did it. I’ve learned that I am a runner. I just needed to find MY pace. It may be slow now, but I will keep working towards PRs and getting faster. I love running because it reminds me that my biggest obstacle is my own mind. I DID IT!! 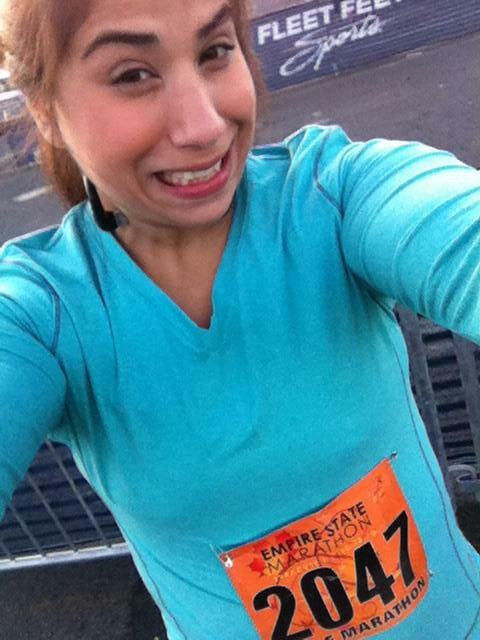 I finished my first official half marathon in 2:34:42 (The Empire State Marathon) and I could not be more proud of myself. 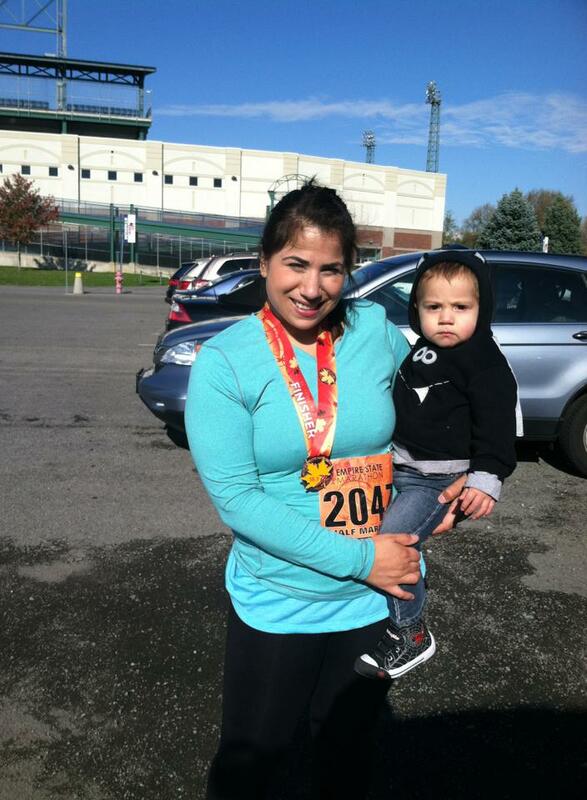 This little “runner” who could barely run a 5K in February of 2010 finished her first half! The race took place in Syracuse, NY and the course ran through a familiar path, the Onondaga Lake Park, home to my first (and only) 5K race. As I pressed through the park passing mile 3 I had such a sense of euphoria and accomplishment. Just 3 years prior I ran this same path full of jitters and a similar eagerness, but with no sense that I would be capable of conquering any distance greater than that. And yet there I was, I was in it with 10 miles left to go and I felt great. I was pacing ahead of my normal training pace and was carefully monitoring my HR to settle at 160-165 BPM. Based on my prior training runs I knew that I could comfortably maintain this HR for this distance and was letting my body set the pace. The first 2 miles of the race were slightly uphill, but the majority of the course was flat and very similar to what I had been training on. At the halfway point, my body began to feel the stresses of racing and my HR hovered between 170-175 BPM. I tried to slow down a bit to get back down to the 160’s, but found that it REALLY brought my pace down so I change my plan and aimed to keep my HR as close to 170 BPM for the remaining distance. I was able to speed things up a bit towards the end, but when I hit mile 12 my feet began to ache. I could feel it with each step and was looking forward to finishing the race so I used the cheers from the crowd and every ounce of adrenaline I had to push myself through that last mile. Soon enough, the stadium was in sight and I could see the finish line. I was greeted by my biggest fans, my husband and son and they cheered me on in that last stretch. I sprinted to the end and crossed the finish line with dead legs and a pounding heart. I DID IT! I ran a solid 13.1 miles at my fastest time yet. I still get excited thinking about what I had accomplished and what I still have to accomplish. The full marathon still intimidates me a bit, but I am miles from where I was and I have faith that I can make my way through it. In March of 2013 I was at my wit’s end. I had finally reached the “I’m ready to make a change” phase and was tired of the talk. It was time to do the walk so I signed up for an 8-week weight loss challenge through my employer and used it as something to hold me accountable. The first weeks I started out by watching my diet and by going to the gym on my lunch breaks. In the first week I was happy to have lost 4 lbs!! I couldn’t believe that my body was actually responding to my efforts. I then decided to amp things up and double up my efforts by doing P90X in the evenings. I could feel myself getting stronger with each workout and loved the fire that had been lit inside of me. I lost a total of 18lbs during those 8 weeks, but still had a way to go to meet my goals. I felt like I could do anything and at the end of the challenge I didn’t want to stop. I continued on with the P90X program and soon decided to incorporate running. I was hoping to sign-up for a few fun summer 5k races to keep me on track. I’ve never been a runner, but I have always had it in my mind that one day I would complete a full marathon. It’s something that I had long dismissed and placed at the bottom of a very long bucket list, but something happened that reminded me of my goal. My best friend decided that she would be signing up for the Walt Disney World Marathon in January of 2014 and that she would begin training for it soon. I’d already been “running” for a couple of months and realized that I had no reason not to sign up. 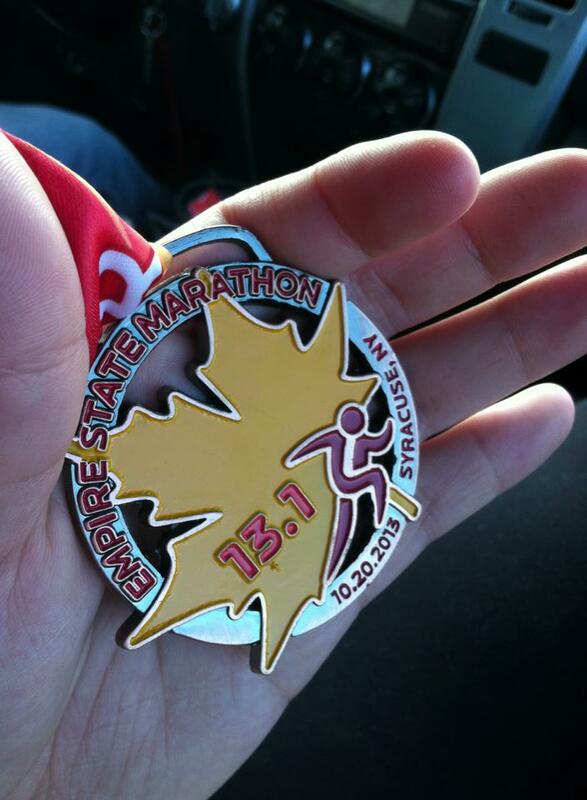 In June of 2013, I bit the bullet and registered myself for my first ever marathon. I was thrilled and nervous all at the same time, but mostly I was proud of myself for committing to accomplish such an incredible task. Training wise, I continued on with P90X and began the 28 week training plan (provided by Disney via Jeff Galloway) in July. Since the start of my training, I’ve logged close to 300 miles, completed one half marathon, lost nearly 30 lbs, and run distances I never knew were possible. I’m still training with P90X and 3 runs/week, but I’m more mindful of what I’m doing to my body. I’m really trying to avoid any injuries and exhaustion and do take breaks when I need them, BUT I always make sure to complete my runs for the week. The P90X workouts get put on the back burner if I begin to feel burnt out or overworked. It’s been a long journey and I still have many miles to go, but firmly believe that “you can do anything you put your mind to””. 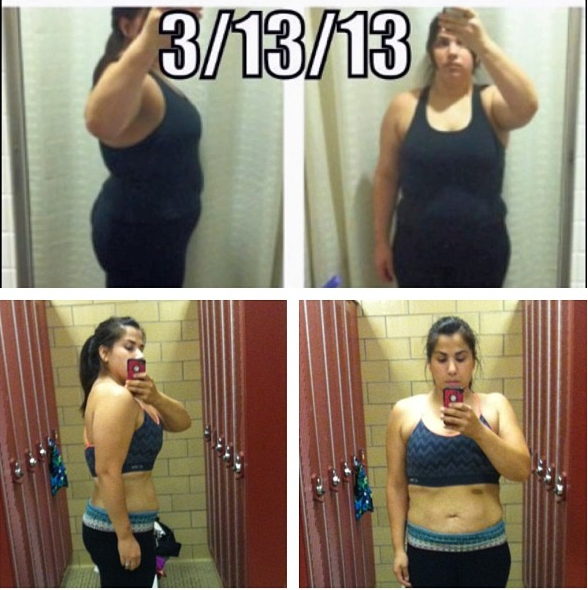 I initially started this journey because I was fed up with the excuses. I knew I was stuck and that something needed to change, but I dragged my feet. I dragged them long and hard. Why was I holding myself back? What was I afraid of? Was I afraid that I would fail? The truth? 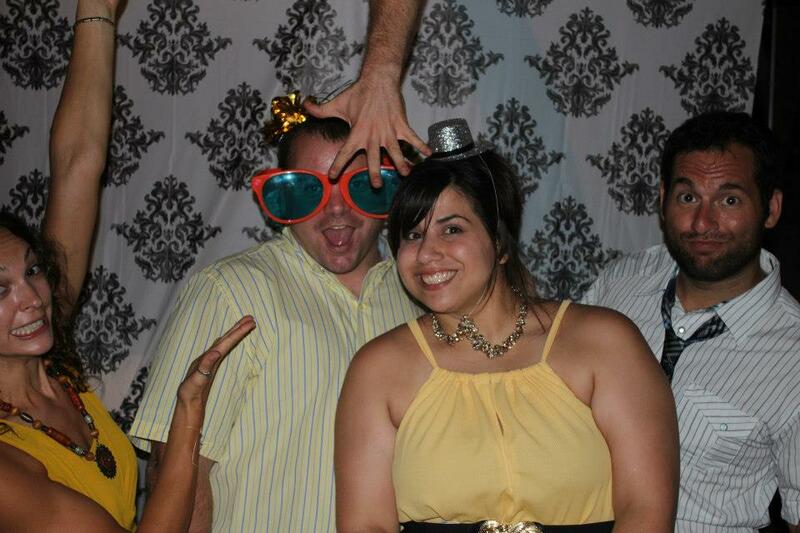 I didn’t realize I was in that bad of shape and hadn’t notice that I had gotten so big. 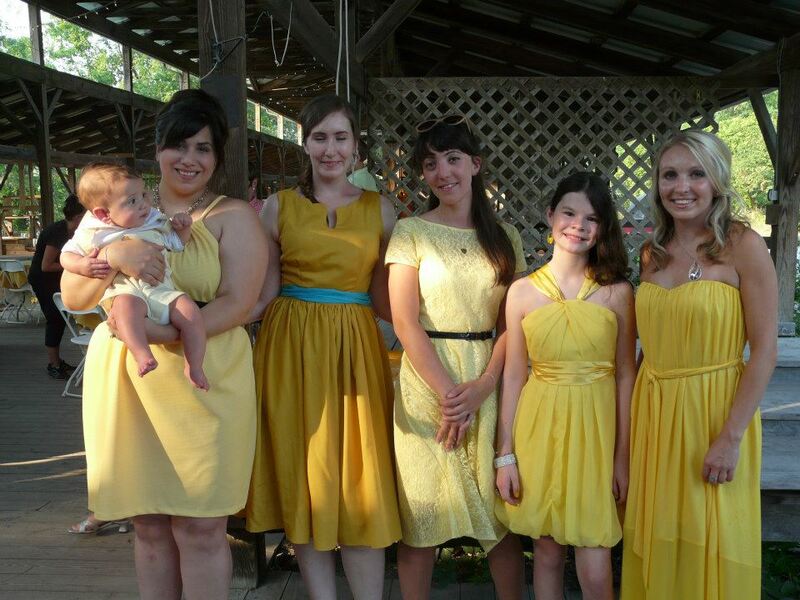 I thought that I hid my weight well and that the excuse of being a new mom was enough to keep others from noticing. Boy, oh boy, was I wrong. I was in flat out denial. I didn’t think others would take notice because I was only within 12 lbs from my pre-pregnancy weight (not a healthy weight either). What I didn’t realize was that my body wasn’t carrying the weight so well anymore. I was lumpy fat, not fit fat. 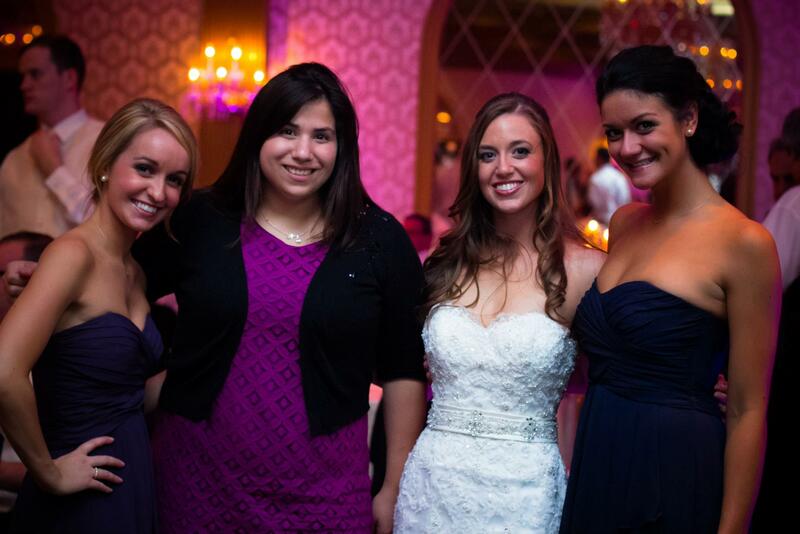 This reality bomb really hit me after seeing photos from a couple of my friends’ weddings (see below). Have you ever played the game “one of these things is not like the other”? I was the “thing”. How had I let myself get to this point? How did it happen? Plain and simple, I justified every action with an excuse. I could eat that extra cookie because I “needed” the calories to produce enough milk to continue nursing my son. We “needed” to order take out because I was too exhausted to cook a healthy meal. I couldn’t go to the gym or exercise because I would lose my supply. The list was endless. I would continuously set goals in my head and plan on starting next week, but the following week would come and nothing would stick. Come January 2013, I didn’t even bother with resolutions, I felt defeated and figured I couldn’t stick to anything until I was ready to wean my son. My number one concern (err excuse) was not being able to nurse him because of a lost supply. I didn’t want to feel like I was neglecting my son. Sadly, the truth was that if I had continued down the path I was heading down I would have been neglecting him. By his first birthday he was well adjusted to walking (he started at 8.5 months) and had nearly mastered running. I remember chasing him down our hallway (our very short hallway) and getting winded. It scared me. I had the realization that some day soon my son would be fast enough to get away from me. What would I do if I couldn’t catch him? What if he wriggled away and ran in front of a car because I couldn’t react quickly enough because I was too out of shape? I needed to do something so that I could commit to being the best mom I could be. I didn’t want to be the “fat mom” anymore. I needed to be the healthy mom. I wanted to be the healthy mom. I wanted to get my life back. I also didn’t want to plan on a second child until I had dropped the extra weight. I’ve read too many articles about how moms who don’t lose the baby weight within the first 6 months were more likely to not lose it and to continue to gain with each subsequent pregnancy. I could not fathom being any bigger than I already was and I didn’t want to become a statistic. I wanted to prove to myself that I could do it for myself and for my family.